Gifts from the Pirates: "We all have secrets: the ones we keep... and the ones that are kept from us. " "We all have secrets: the ones we keep... and the ones that are kept from us. " Going to the cinema has changed so much since i was a little boy, the first film i ever went to see was 'Gobots: Battle of the rocklords' when i was 6, it all seemed so magical and i was very excited at the thought of going to watch a film on a huge screen. This excitement was magnified by the added bonus of what seemed like a gallon of fizzy drink and a box of popcorn that at the start of the film you didnt think you would ever get to the bottom of. 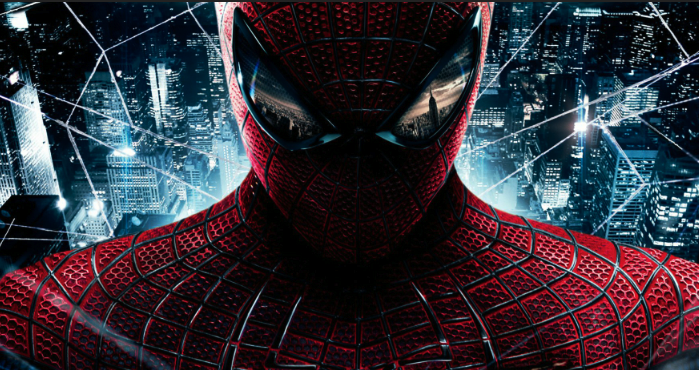 Today i went to see The Amazing Spider-man and although i was still very excited i sat watching the trailor's laughing to myself as i opened my self packed Tupperware box containing 2 slices of Malt loaf and a handful of digestives (yes i certainly know how to live life on the edge). I dont usually feel old but at that point sitting there on my own waiting for the film to start i was feeling like someone that once upon a time used to be cool but over the years is slowly becoming my dad. I used to see people sitting alone in the cinema when i was younger and it always intrigued me (who has NO-ONE to go to the cinema with?). Turns out sometimes you have no choice. The boys are to young and although Mrs M would have liked to see it, with a 16month old child, going together just wasnt possible. 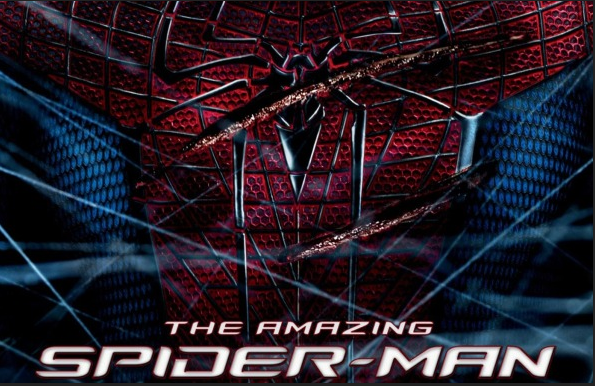 The film was pretty good although i didn't leave the cinema on the super hero high that i did after watching The Avengers. The film was clearly a lot better written and filmed than the previous movies but the past movies were better in other ways. I definitely prefer Tobey Maguire as Peter Parker he was far more believable and didn't need to be flipping around on a skateboard to get the viewers attention. Spider-man 1 and 2 were a lot more colourful and from a comic to movie point of view i really liked that. As pointed out by Russell Jones earlier it was all a bit like it was trying to be the Dark Knight. Needless to say it was very entertaining and had the added bonus of not having that annoying MJ moaning at every given chance. 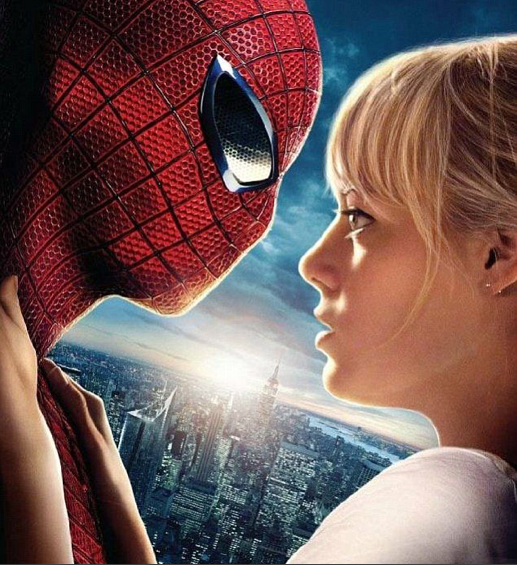 Although Mrs M wont like this (due to being a big MJ fan), Gwen Stacey was a lot more bearable and more pleasing to the eyes. It's a shame that Seth couldn't have come to see the film with me but he's far to young to have understood what was going on. i cant wait until both the boys are a bit older so that we can go and see all the comic films together, it'll certainly beat sitting on my own. Ill be doing it all over again in the next week or so for 'The Dark Knight Rises'. Also the excitement this morning about finally seeing the film got my toy juices flowing so i purchased 2 of the 3 Amazing Spider-man Super Hero Squad Figures set's which will be posted about when they arrive. 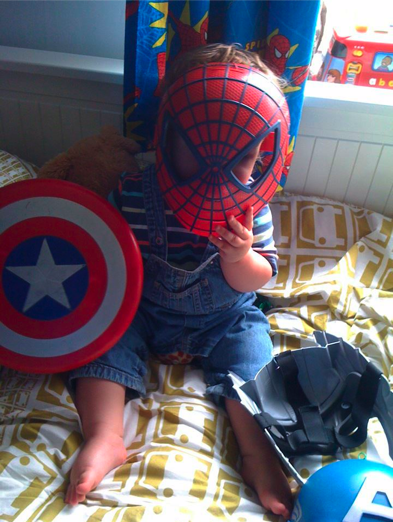 A fun afternoon was had but the most 'Amazing' part for me was going back home to that little super hero of my own.